To protect your Conifer, Colorado, home or business from the weather in every season, it is imperative that you apply the right siding. Scottish Home Improvements will help you determine the best exterior finish for you residence and business based on several factors. Let us show you how different siding choices could help to save you money on heating and maintenance, and you’ll see why we’ve been the popular choice for many years. Homeowners throughout the state are discovering James Hardie® Fiber Cement Siding. Though homes in Conifer are candidates for vinyl siding, you may find that fiber cement is a better choice for your home. James Hardie® Siding is fire retardant, and when living near or in the mountains, that is an important factor to take into consideration because of the constant risk of wildfires. It is also hail and woodpecker resistant, which means you will be able to avoid constant damages and repairs that can be caused by both hail storms and pesky birds. 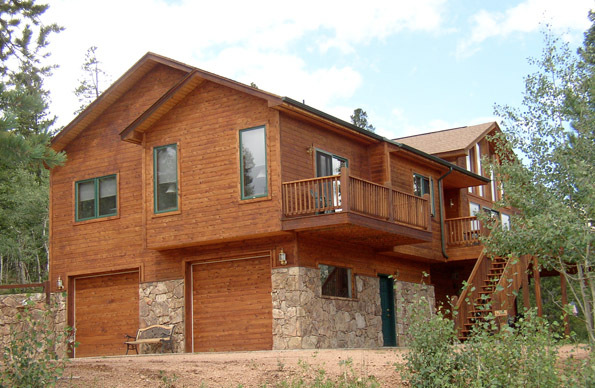 It also requires little maintenance when it comes to the finish because the paint is baked into the siding, protecting it from fading despite the strength of the sun at the high altitude of Conifer. James Hardie® siding may be combined with HardieWrap® weather barrier and rigid foam insulation panels to help increase energy efficiency. 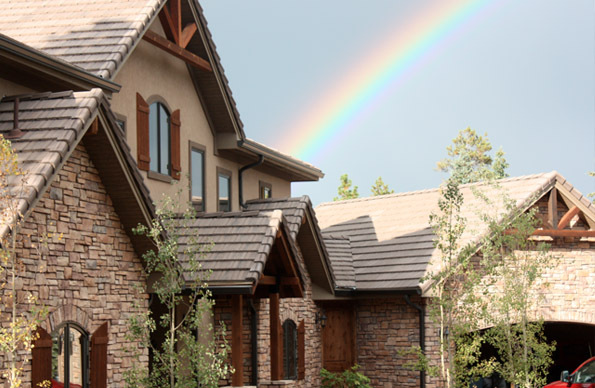 James Hardie® VerticalPanel stucco style is another popular option in Conifer, Colorado, because of its elegant appearance. Unlike traditional stucco, James Hardie’s® stucco styles will not crack, chip, or be affected by woodpeckers. This eliminates repair and maintenance costs meaning you will save money while enjoying your longstanding exterior. For your business in Conifer, you may want to consider steel siding. Steel siding is rarely used in residential applications, but it will protect your commercial space from intense sunlight and punishing precipitation all year long. Scottish Home Improvements will provide you with the most cost effective and practical solutions for your exterior needs while simultaneously providing quality designs and color schemes. Call us today for a free, no obligation quotation.